Most of us don’t pay much attention to light bulbs. They play a very important role in our lives, but when it comes to aesthetics, most of them are nothing special. 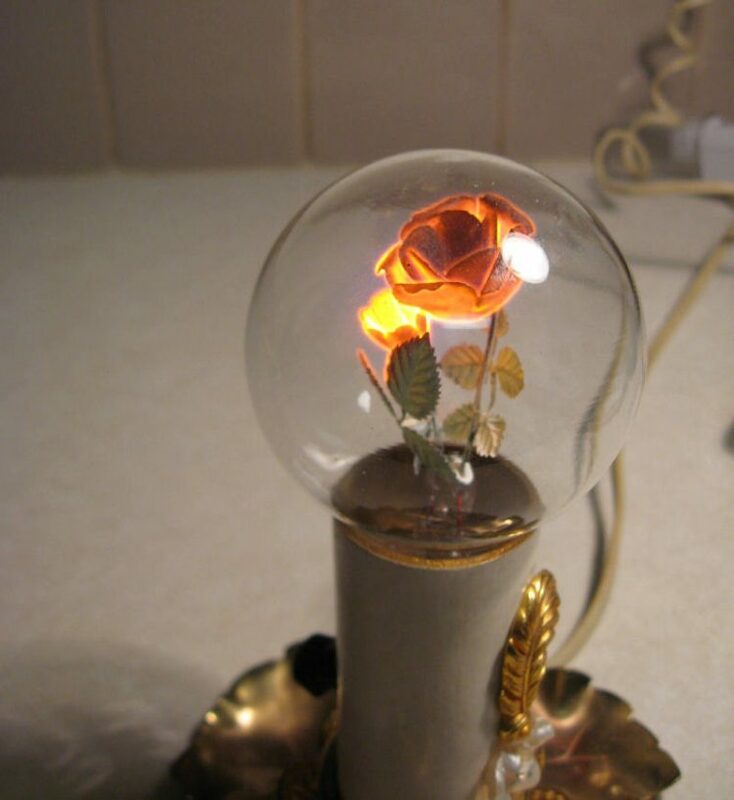 But there was once a company that produced the most amazing flower light bulbs, and luckily some of its creations are still around today. Aerolux Lighting Corporation was an artistic light bulb manufacturer that operated from the 1930s through the 1970s. The company made beautiful gas-discharge light-bulbs in various shapes, from cartoon characters and animals, to religious symbols and popular emblems. 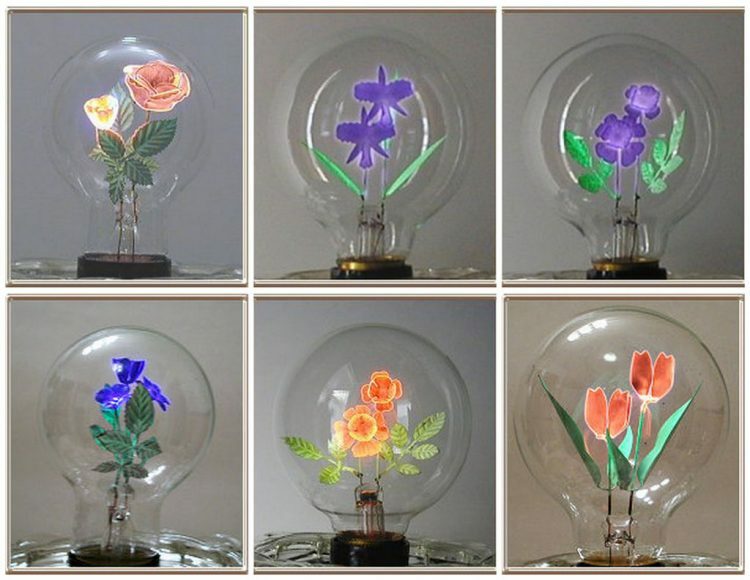 But their most impressive and popular creations were the flower light bulbs. They not only had these intricate metallic flower sculptures for filaments, but they would also shine in various colors depending on the gases and coatings used. They were really popular back in the day, and looking at the photos below, it’s easy to see why. Because the phosphors used in Aerolux bulbs were somewhat brittle, they had to be handled with care. Shaking or jarring the bulbs could cause flaking and the migration of the phosphors to other parts of the sculpture or to the inner glass of the bulb. They consumed about 3-5 watts of power, and had a high yield of light produced versus electricity consumed. Believe it or not, during the 1940s, one of these little wonders would sell for only ¢20, which is kind of mind-blowing, considering the painstaking work that obviously went into making them. These days, vintage Aerolux flower light bulbs are sometimes auctioned off on sites like eBay, for anywhere between $50 and $200, depending on the condition and workmanship of the filament. If paying at least $50 for an original Aerolux flower light bulb is too much for your budget, there are a few companies making affordable artistic flower light bulbs today – see examples here – but they don’t even come close to these vintage wanders that most people don’t even know ever existed.